We believe food is a social experience. The perfect outing is sharing and experiencing different plates with friends while knowing when to keep the last bite only for yourself. So come in and order a few items “for the table." 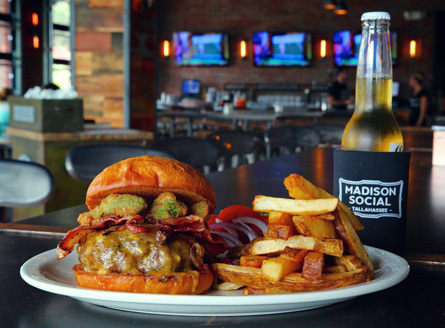 Open everyday at 11:30AM, Madison Social’s take of “classic pub fare with a twist” is available. Fan favorites include BLT Dip, MadSo Burger, and- for a lighter option- Sweet Potato Kale Salad. Our full menu is served Sunday-Wednesday until 10PM, Thursday until 11PM, and Friday-Saturday until 12AM. 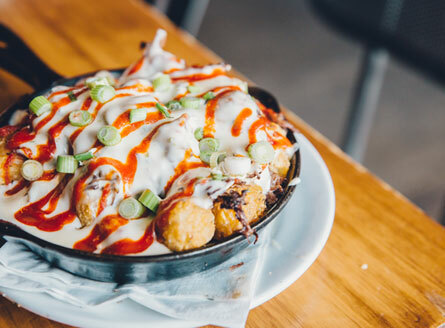 Each weekend from 10AM-4PM Tallahassee joins us for Hot Tottys and Spiced Honey Chicken & Waffles coupled with Bloody Mary’s, mimosas and sangria. Our cocktails menu features a wide array of hand-crafted cocktails and beer cocktails. 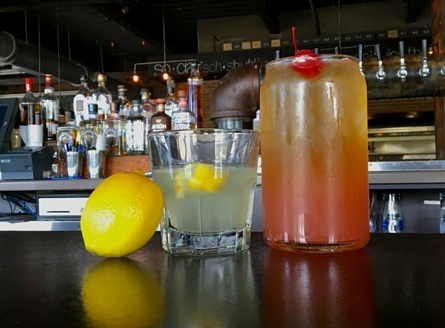 Our specialty cocktail, the Madison Mule, is enjoyed by over 2,000 customers every month. 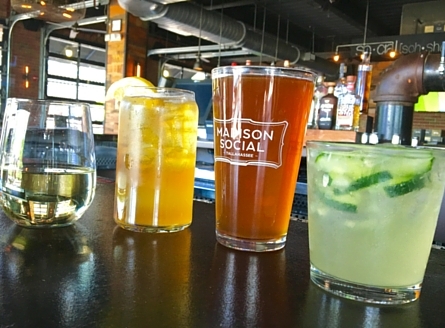 Join us each weekday for Happy Hour which includes $6 select Sociables, $5 Beer Cocktails, $4 house wines, $3 wells, $1 off select domestic draughts and $1 off all social plates. Happy Hour times are weekdays, 4-7PM.